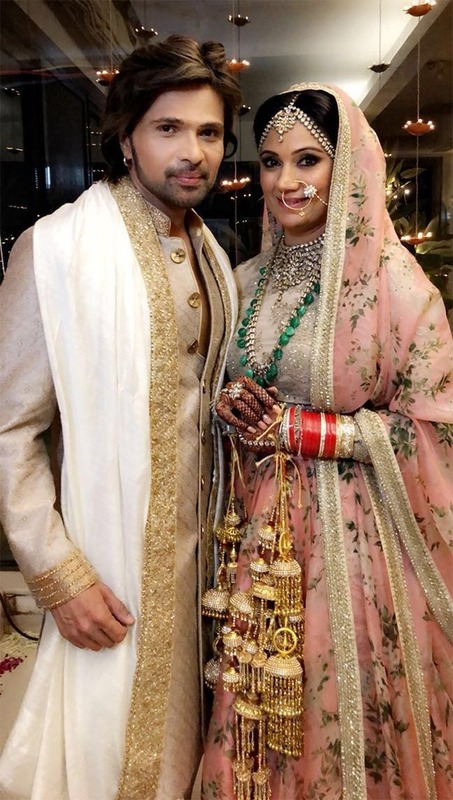 Himesh Reshammiya tied the knot with long time girlfriend Sonia Kapoor last night in a traditional Hindu ceremony at the singer-actor's residence. The ceremony was a close knit affair with just close family and friends, including Himesh’s parents and his son Swaym. Himesh excited to embark on this new journey mentioned "I am really happy that Sonia and me have started this new journey, she is a lovely girl and I have loved her unconditionally and the same is with her." While his lovely bride in pink gushed, "Himesh is a wonderful human being and my soul mate. He means the world to me and I am very happy to start this beautiful journey with him." The couple will be leaving for their honeymoon on Sunday. Post marriage, Himesh will be announcing two new films as an actor. His wife Sonia will not be taking up any acting offers now as she wishes to focus on family.